The Egyptian goose, Alopochen aegyptiaca. 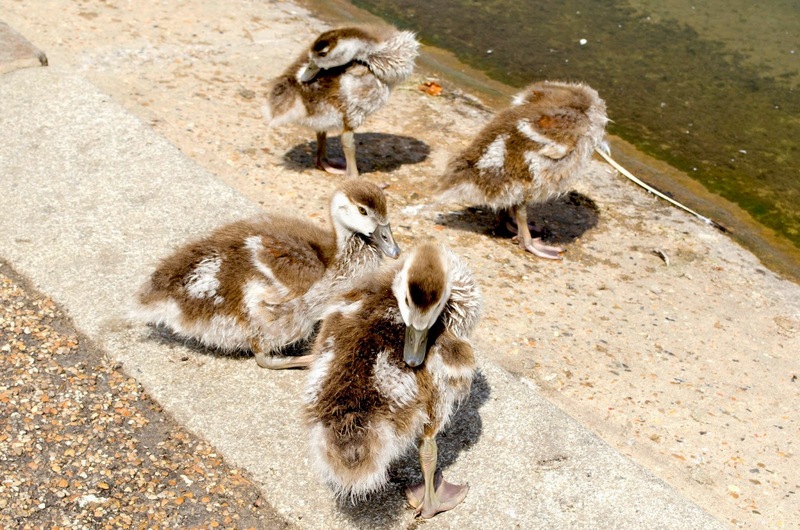 Egyptian geese are abundant in Kensington Gardens in London where I took these pictures. The bird's native range is in the Nile Valley in Egypt and throughout subsaharan Africa. Introduced and escaped birds have established feral populations throughout southern Europe. I sometimes see Egyptian geese in urban parks in the northeastern United States. 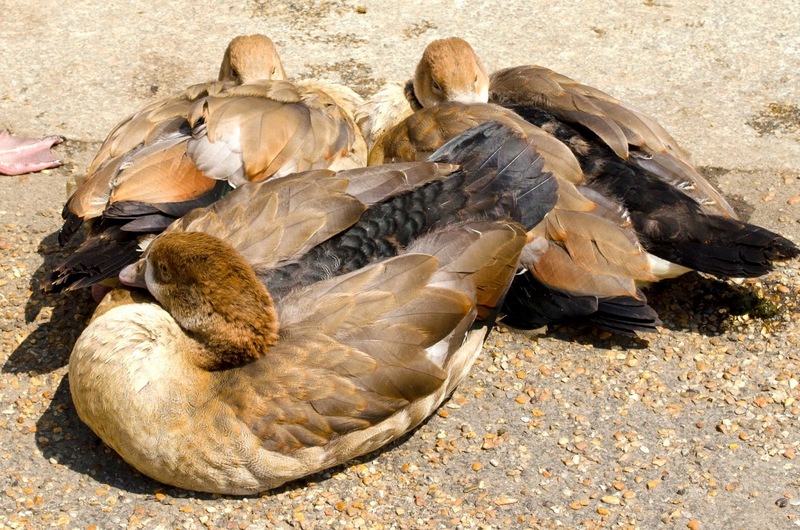 Feral populations of Egyptian geese are proliferating in Texas around Houston where they were the subject of a recent scientific study; the results indicated that Egyptian geese seem to coexist peacefully with native waterfowl and may even deter colonization by less well-behaved Canada geese. Egyptian goslings. Click to enlarge. Egyptian geese are robust long-necked birds, with pink legs and feet, brownish backs, tan bodies, and black tails. They have conspicuous chocolate-brown eye patches and pink bills with a black nail at the tip. A white wing patch is visible in flight. It is hard to catch a photo of it, but each bird has a chocolate-brown patch low on its breast. 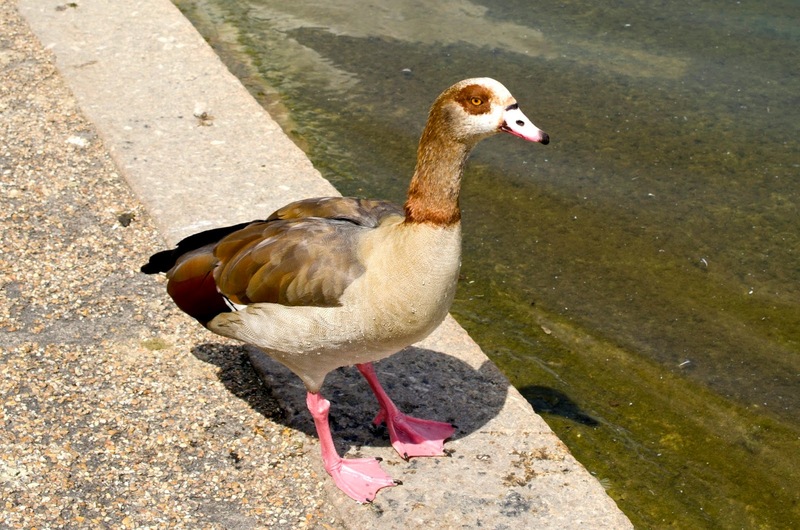 The Egyptian goose is the only species in its genus in the family Anatidae, which contains all geese, ducks, and swans. 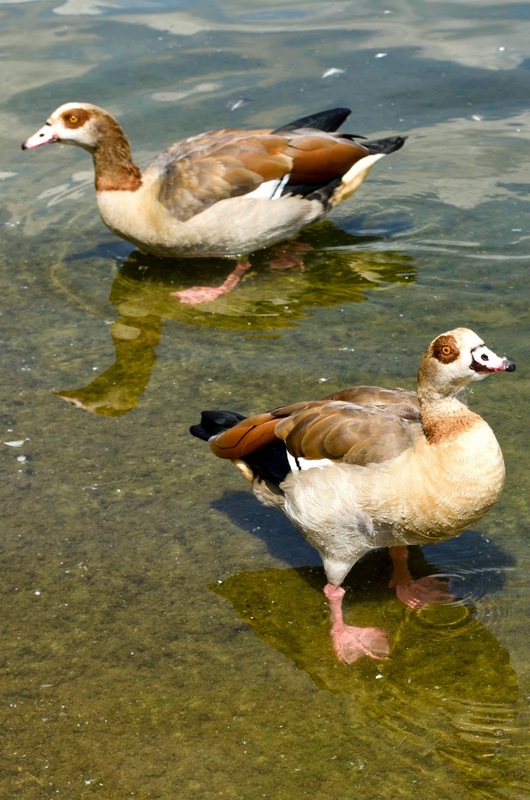 Technically, and despite their English name, Egyptian geese are not geese. Neither are they ducks. 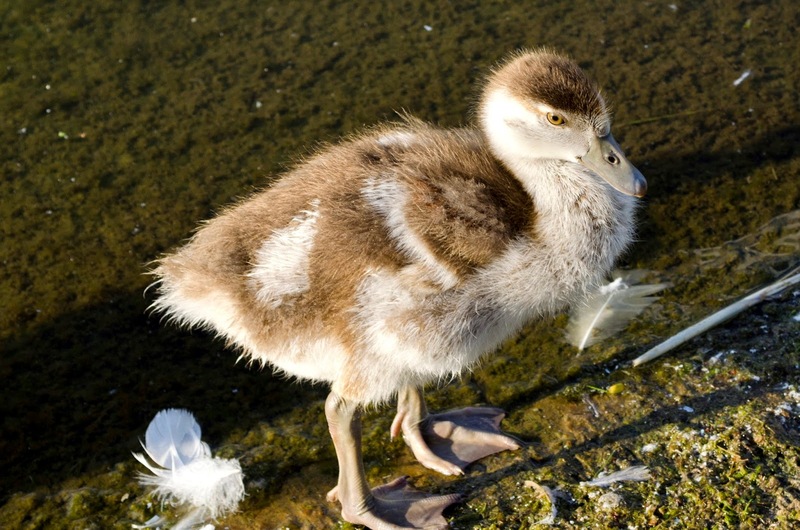 They have characteristics of both and their closest relatives are the goose-like Old World shelducks. Geese are popular subjects for Haiku. Here are a few written in the early 1800s by the master, Issa.